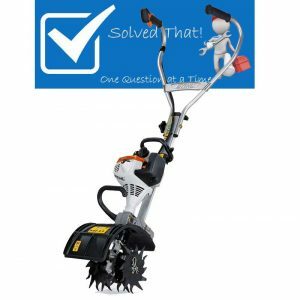 Lawn & Garden Archives | Solved That! STIHL MM55 WONT START WONT STAY RUNNING – A few years back my trusty old MANTIS TILLER died after many years of faithful service. Being the type of person who likes to try new things I decided to switch brands and go with STIHL. Having experienced several years of flawless operation of a STIHL FS85 STRING TRIMMER I bought the STIHL MM55 with confidence. The MM55 did not disappoint. It was light, powerful and almost fun to use. As the season ended I winterized the MM55 same as my other 2 stroke equipment. I poured in some gasoline stabilizer and ran the MM55 out of gas. All was good until the following spring. Come April the following year the MM55 turned from joy to nightmare. It wouldn’t start, the primer bulb would stay down after a few pumps. I knew this meant the carburetor had some sort of blockage. I spent a fair amount of time cleaning the carburetor. Still no luck. I could get the M55 running for a few seconds then it would die. Frustrated I brought it to the dealer I bought it from. Two weeks later I got the MM55 back. Cost $85. Diagnosis, blocked carburetor. Solution replaced carburetor. The dealer politely recommended I try a different fuel stabilizer. I figured what the heck. Fast forward to season end I winterized again with the added step of compressed air at the carburetor inlet. I thought to myself “ok I got it this time”. Well I was wrong. The next spring was the same as the previous. Back to the dealer same thing, $85 and a new carburetor. Yes I was annoyed. This time at the end of the season a close friend said he could winterize the MM55 and it would be fine. He is a landscaper and he would winterize the MM55 same as all of his Echo power tools. (BTW Mantis uses Echo engine). Next spring you guessed it, same results. This time I was determined to not only fix the MM55 myself but understand why this tool was so prone to the issue. 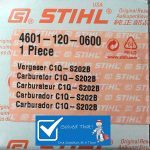 STIHL MM55 CARBURETOR 4601-120-0600 – To understand the problem with the MM55 carburetor was a simple as taking it apart. Turns out that the STIHL MM55 CARBURETOR 4601-120-0600 is not designed in a way that lends to be able to completely remove unwanted fuel. In fact there are two small chambers at the bottom of the STIHL MM55 CARBURETOR 4601-120-0600 that there is no way to remove the fuel other than to take the carburetor apart. Fortunately I had saved all my previous carburetors and upon disassembling I learned they were all corroded in this area. I did not bother to disassemble further but no doubt there is other nooks and crannies that would exhibit the same problem. Why does STIHL say this? Ethanol in todays gasoline is the root of the short shelf life of fuel. This is why your STIHL MM55 Wont Start | Wont Stay Running!!!!!!! Note: Read page 12 of the STIHL MM55 CULTIVATOR Owner Instruction Manual. The manual is available to download or view further down this page! 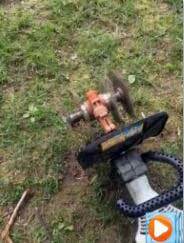 So whats the solution for a STIHL MM55 WONT START WONT STAY RUNNING? The easy repair is the head to your local STIHL dealer and buy a new STIHL MM55 CARBURETOR 4601-120-0600 for about $40. Dont bother buying online. You will end up waiting and paying more. 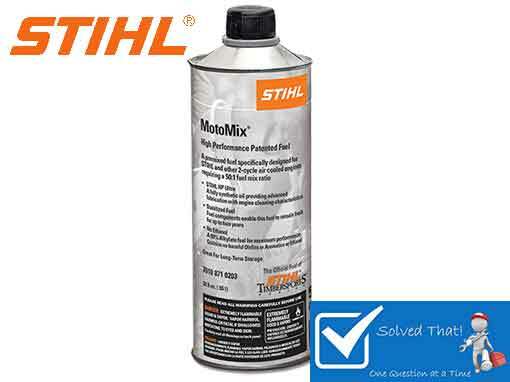 The STIHL MM55 CARBURETOR 4601-120-0600 is incredible easy to replace. Remove the screw holding the air cleaner together and put the cover and filter off to the side. Move the throttle lever enough to remove the throttle cable. Pay attention to the little protective sleeves on the cable. They can slide anywhere on the cable. Their proper orientation is to keep the throttle cable from wearing the plastic disc that that the throttle cable wraps around. Assemble in reverse order. The first time you do this it will probably take 15 minutes. After that 5 minutes. In fact it probably took me just as long to type the 4 steps as it would to perform. The MM55 will start with the second pull. Now that I know the problem I have modified my winterizing and storage procedure for the STIHL MM55 Cultivator. 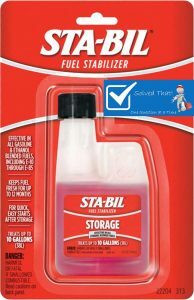 STA-BIL Fuel Stabilizer – I always include STA-BIL Fuel Stabilizer in my gas. 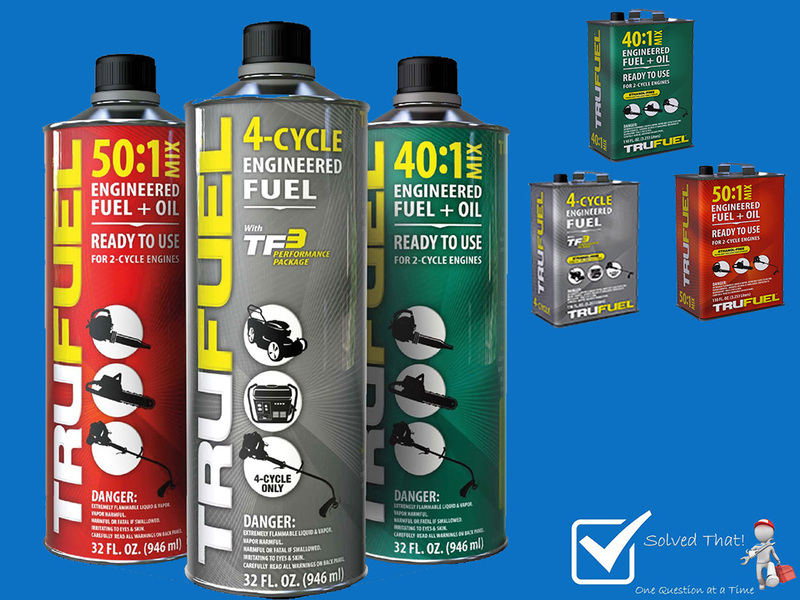 STA-BIL brand Fuel Stabilizer is one of the best products of it’s kind available. Beyond the fuel stabilizer the STIHL MM55 needs one more step. The carburetor needs to have something displace any fuel left in the carburetor and it also needs something to protect and lubricate the internal surfaces. I have decided to treat the MM55 the same as the Mercury outboard of my Ranger Bass Boat which successfully started for 20 plus fishing seasons. 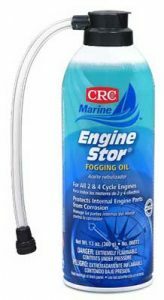 I use CRC ENGINE STOR or STA-BIL 22001 Fogging Oil. After running the STIHL MM55 out of fuel and with the engine off hold the throttle wide open (full throttle) and spray the Engine Stor/Fogging oil in the carburetor and pull the starter rope couple times. This will lubricate the engine cylinder. You can also optionally remove the spark plug and directly spray the Engine Stor/Fogging oil into the cylinder. The next step requires an air compressor. 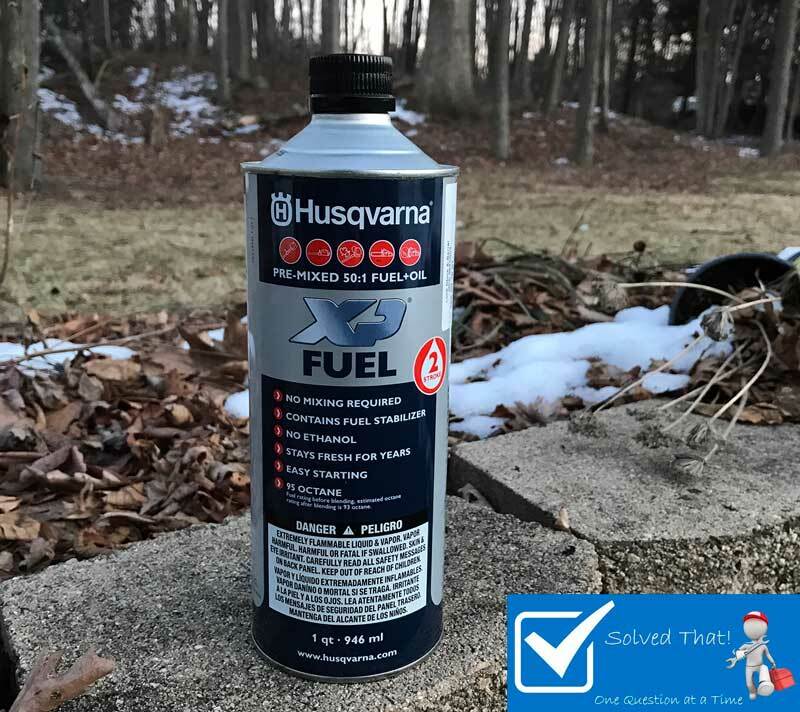 Disconnect both fuel lines from the carburetor and used compressed air to blow the gas out of the engine. I like to hold a paper towel or rag over the carburetor to catch the fuel that blows out of. Be sure to operate the throttle to it’s full open position. 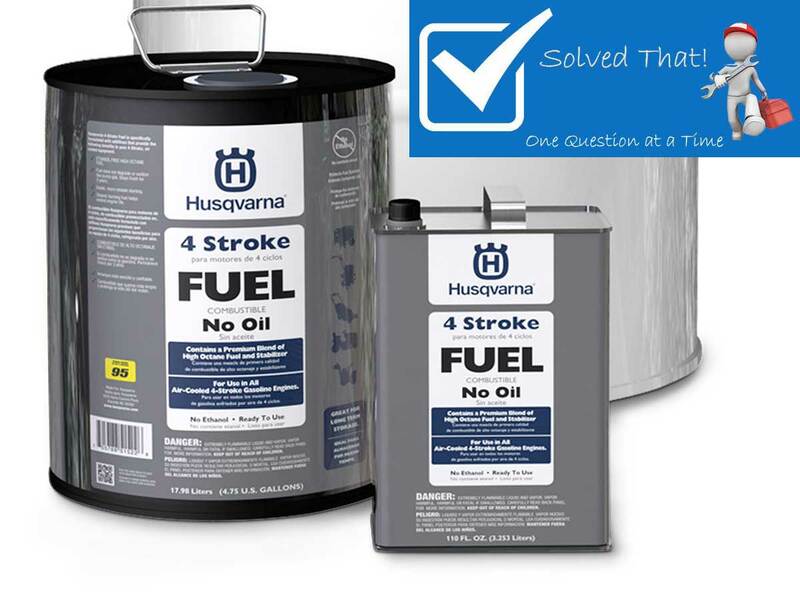 Once no more fuel blows from the carburetor fill both ports with the Engine Stor/Fogging oil. Again actuating the throttle. The goal here is to fill the carburetor with the Engine Stor/Fogging oil. Use compressed air on both carburetor ports where the hose was attached. Once complete replace the bottom carburetor hose and one last time fill the top port with Engine Stor/Fogging oil and replace the hose. Place the carburetor in choke mode and with the engine turned off pull the starter rope a few times. You can also press the primer bulb a few times. All this should have saturated the carburetor and engine internals with the Engine Stor/Fogging oil make spring start up a breeze. Keep in mind upon startup it will take a few pulls to get gas into the system and the MM55 will blow some smoke as the Engine Stor/Fogging oil burn up. also keep in mind that some of the Engine Stor/Fogging oil might leak from the exhaust muffler. Consider that fact during storage.